Africa is the world's second-largest and second-most-populous continent. It is surrounded by the Mediterranean Sea to the north, both the Suez Canal and the Red Sea along the Sinai Peninsula to the northeast, the Indian Ocean to the southeast, and the Atlantic Ocean to the west. The continent includes Madagascar and various archipelagoes. Africa is considered by scientists to be the origin of humanity, and is also famous for its animals, such as the "Big Five". One of the many economic differences between developed and developing countries is that developed countries subsidize farmers while developing countries tax farmers. . . . World Bank studies suggest that US subsidies alone reduce West Africa’s annual revenue from cotton exports by $250 [million] a year. Africans, African presidents in particular, are cordial people. [T]hey value their relationship. None of us has yet begun to grasp the full impact of this horror—on the quality of life in Africa, its economic potential and its social and political stability. Kofi Annan, WOL, Watching the World. Business tourism is rising in Africa. Demand from international civil servants and businessman is growing strongly. Chief Executive Officer Mossadeck Bally, quoted on Bloomberg, "Mali’s Azalai Hotels Plans $165 Million for West Africa Growth", January 30, 2014. If the continent of Africa had drifted relatively as much as the boundaries of Poland have drifted in the last two hundred years, then Africa would at one time have touched the north pole and at another the south pole. There is a dismal record of failure in Africa on the part of the developed world that shocks and shames our civilization. Tony Blair, Trying to Feed a Billion People. African peoples are now writing your own story of liberty. Africans have overcome the arrogance of colonial powers, overcome the cruelty of apartheid, and made it clear that dictatorship is not the future of any nation on this continent. In the process, Africa has produced heroes of liberation, leaders like Mandela, Senghor, Nkrumah, Kenyatta, Selassie and Sadat. And many visionary African leaders, such as my friend, have grasped the power of economic and political freedom to lift whole nations and put forth bold plans for Africa's development... Because Africans and Americans share a belief in the values of liberty and dignity, we must share in the labor of advancing those values. In a time of growing commerce across the globe, we will ensure that the nations of Africa are full partners in the trade and prosperity of the world. Against the waste and violence of civil war, we will stand together for peace. Against the merciless terrorists who threaten every nation, we will wage an unrelenting campaign of justice. Confronted with desperate hunger, we will answer with human compassion and the tools of human technology. In the face of spreading disease, we will join with you in turning the tides against AIDS in Africa. African citizens are certainly better off in countries that support their aspirations and communities rather than becoming 3rd or 4th class citizens in Europe... When did Europe ever operate on behalf of African people except when Africa or its people were used to benefit the goals and priorities of Europe? The destiny of the great African continent, to be added at length — and in a future not now far beyond us — to the realms of the highest civilization, has become apparent within a very few decades. But for the strange and long inscrutable purpose which in the ordering of human affairs subjected a part of the black race to the ordeal of slavery, that race might have been assigned to the tragic fate which has befallen many aboriginal peoples when brought into conflict with more advanced communities. Instead, we are able now to be confident that this race is to be preserved for a great and useful work. Calvin Coolidge, The Progress of a People (6 June 1924), Washington, D.C.
To understand who we are as a species, and why we vary as we do, we must examine our genetic diversity in the context of a common African origin, followed by intra- and intercontinental diasporas that transpired over a period of tens of thousands of years, culminating in an era of major migrations that reshuffled the worldwide human genetic construction over the past several thousand years and is still underway. Last, we must recognize that today’s human population is far larger, more diverse, and more complex than it ever has been. We are all related, more than seven billion of us, recent cousins to one another, and, ultimately, everyone is African. Daniel J. Fairbanks, Everyone is African: How Science Explodes the Myth of Race (2015), p. 156. Between 1990 and 2005, 23 African nations were involved in conflicts, and the total cost was about US$300 billion. The price that Africa is paying could cover the cost of solving the HIV and AIDS crisis in Africa, or provide education, water and prevention and treatment for tuberculosis and malaria. Ellen Johnson-Sirleaf, Liberian President. WATCHTOWER ONLINE LIBRARY, Watching the World. "Africa is a tough place and they were on top for a long time. It’s their turn to be dominated now," a friend I'd previously regarded as a liberal told me. We will embrace partnerships based on mutual respect and win-win scenarios. We will not accept partnerships that do not recognise we also have the intellectual capacity to engage on equal terms. Africa has a voice. Fifty years after independence, Africa demands that its voice must be heard. As quoted on BBC News, "Kenya's independence: Uhuru Kenyatta in equality appeal", December 12, 2013. David Livingstone, Exploring Magnificent Waterfalls. The islands above the falls are covered with foliage as beautiful as can be seen anywhere. Viewed from the mass of rock which overhangs the fall, the scenery was the loveliest I had seen. Still licking the scars of past wrongs perpetrated on her, could she [i.e. Africa] not be magnanimous and practice no revenge? Her hand of friendship scornfully rejected, her pleas for justice and fair play spurned, should she not nonetheless seek to turn enmity into amity? Though robbed of her lands, her independence, and opportunities – this, oddly enough, often in the name of civilization and even Christianity – should she not see her destiny as being that of making a distinctive contribution to human progress and human relationships with a peculiar new Africa flavour enriched by the diversity of cultures she enjoys, thus building on the summits of present human achievement an edifice that would be one of the finest tributes to the genius of man. Africa's intellectual class are totally bereft of solutions to their problems, and they lack creativity. I am coming to the belief that conservatism merged with philosophy breeds bigotry... We have realized that the sloganeering of the 60s was nothing but ego drive for the lust of power. One's thirst cannot be quenched by hunger, we shall never find a statesman, though we are blessed with politicians. And in any society the weaknesses of a politician are the strengths of a statesman. That is why you have so many people fighting for peace, but once they are in power only force makes them can relinquish power. Thus we are good fighters but lousy builders. 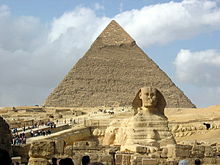 Our last piece of original architecture was during ancient Egypt. What are we known for now? A continent plagued with inadequate health facilities but rich Ministers of Health. For us Europeans, Africa as a neighboring continent is of prime importance. The development of African countries is in our very own vested interest. We, as Germans, but also we, as members of the European Union, will have to deal with this. Africa is deeply dichotomous, and this dualism is not likely to disappear in the short term. This makes her challenging to grasp. But Africa will grow irrespective of limited perceptions that prevent so many from seeing the opportunities. In celebrating Africa Day on May 25, those who wish to engage with the continent are, therefore, well-advised to take an appreciative view of the place, its people and its future. Yoweri Musveni, defending the allocation of forest land to a sugar company, 13 April 2007 . Yoweri Musveni, 23 September 2005 . Naturalization laws are hereby extended to aliens of African nativity and to persons of African descent. Slaves from Africa also started as prisoners of war. Black slave owners captured slaves from other tribes and sold them to white slave traders—a product of warfare between black tribes in Africa. White men didn’t go to Africa and run through the bush and grab men to be slaves; they simply went to the dock and said, “Do you have some slaves to buy? We’ll provide gold, rum, or other goods in exchange for the slaves.” When the slave owners had sold all the slaves they had, they went out and captured more. There was a change in the style of slavery when new world slavery appeared, because then it became commercialized and it wasn’t just for the sake of war. War prisoners were turned to commercialized slaves, sold for goods, and then shipped off. Mark A. Peterson, Korean Slavery (2000). Dr. Peter Piot, executive director of the Joint United Nations Programme on HIV/AIDS, WOL, Watching the World. Our ties with Africa are rooted in the heritage of many Americans and in our historic commitment to self-determination. We respect the hard-earned sovereignty of Africa's new states and will continue to do our utmost to make a meaningful contribution to their development. We have no illusions that the United States can single-handedly solve the seemingly intractable problems of apartheid and minority rule, but we can and will encourage non-violent, evolutionary change by supporting international efforts peacefully to resolve the problems of southern Africa and by maintaining our contacts with all. Republican Party Platform of 1972 (21 August 1972), United States of America. The United States has always supported the process of self-determination in Africa. Our friendship for the African countries is expressed in support for continued peaceful economic development, expansion of trade, humanitarian relief efforts and our belief that the entire continent should be free from outside military intervention. Millions of Americans recognize their historical and cultural ties with Africa and express their desire that United States policy toward Africa is a matter of great importance. We support all forces which promote negotiated settlements and racial peace. We shall continue to deplore all violence and terrorism and to urge all concerned that the rights of tribal, ethnic, and racial minorities be guaranteed through workable safeguards. Our policy is to strengthen the forces of moderation recognizing that solutions to African problems will not come quickly. The peoples of Africa can coexist in security, work together in freedom and harmony, and strive together to secure their prosperity. We hope that the Organization of African Unity will be able to achieve mature and stable relationships within Africa and abroad. The interests of peace and security in Africa are best served by the absence of arms and greater concentration on peaceful development. We reserve the right to maintain the balance by extending our support to nations facing a threat. We recognize that much is at stake in Africa and that the United States and the industrial west have vital interests there, economically, strategically, and politically. Working closely with our allies, a Republican administration will seek to assist the countries of Africa with our presence, our markets, our know-how, and our investment. We will work to create a climate of economic and political development and confidence. We will encourage and assist business to play a major role in support of regional industrial development programs, mineral complexes, and agricultural self-sufficiency. Republicans believe that African nations, if given a choice, will reject the Marxist, totalitarian model being forcibly imposed. Republican Party Platform of 1980 (15 July 1980), Detroit, Michigan. The African peoples are convinced that the west is central to world stability and economic growth on which their own fortunes ultimately depend. A Republican administration will adhere to policies that reflect the complex origins of African conflicts, demonstrate that we know what U.S. interests are, and back those interests in meaningful ways. We will recognize the important role of economic and military assistance programs and will devote major resources to assisting African development and stability when such aid is given on a bilateral basis and contributes directly to American interests on the continent. In Southern Africa, American policies must be guided by commonsense and by our own humanitarian principles. Republicans believe that our history has meaning for Africa in demonstrating that a multiracial society with guarantees of individual rights is possible and can work. We must remain open and helpful to all parties, whether in the new Zimbabwe, in Namibia, or in the Republic of South Africa. A Republican administration will not endorse situations or constitutions, in whatever society, which are racist in purpose or in effect. It will not expect miracles, but will press for genuine progress in achieving goals consistent with American ideals. We are committed to democracy in Africa and to the economic development that will help it flourish. That is why we will foster free-market, growth-oriented, and liberalized trading policies. As part of reforming the policies of the International Development Association, we have assisted in directing a larger proportion of its resources to sub-Saharan Africa. To nurture the spirit of individual initiative in Africa, our newly created African Development Foundation will work with African entrepreneurs at the village level. In addition, through our rejection of the austerity programs of international organizations, we are bringing new hope to the people of Africa that they will join in the benefits of the growing, dynamic world economy. We will continue to provide necessary security and economic assistance to African nations with which we maintain good relations to help them develop the infrastructure of democratic capitalism so essential to economic growth and individual accomplishment. We will encourage our allies in Europe and east Asia to coordinate their assistance efforts so that the industrialized countries will be able to contribute effectively to the economic development of the continent. We believe that, if given the choice, the nations of Africa will reject the model of Marxist state-controlled economies in favor of the prosperity and quality of life that free economies and free people can achieve. We will continue to assist threatened African governments to protect themselves and will work with them to protect their continent from subversion and to safeguard their strategic minerals. Republican Party Platform of 1984 (20 August 1984), Republican National Convention Committee on Resolutions. I am an African. And that makes me who I am. On the other hand, the European authors of this article consider that they have a responsibility concerning the misdeeds of colonialism in Africa. Like Italy, Spain also resorted to a strategy of scorched earth in its colonies, including the use of poison gas (Kunz and Müller 1990). As in other Mediterranean countries, the Spanish massacres in Morocco and Equatorial Guinea (Pando Despierto 1999; Guerín 2008) have been deleted from cultural memory and replaced by nostalgic accounts of the empire. We have to help construct a critical memory that reviews the works of totalitarianism and racism in other continents, because our societies have to learn about a history that has been so often forgotten, sanitized or sweetened through popular films, books and magazines. ‘These new visual and textual formations... today shape the mental geography and the imaginary of people who travel blindly and unencumbered through geographic and historical space. As temporal distance increases, these popular constructions may even, one day, be regarded as factual truth and assimilated as knowledge by those who have only a remote inkling of colonial history’ (Norindr 1996: 158). By exposing colonialism, we may contribute to rethink its legacies in the present. Alfredo González-Ruibal, Yonatan Sahle and Xurxo Ayán Vila, “A social archaeology of colonial war in Ethiopia”, World Archeology, Vol. 43, (04, Mar 2011), p.16. The regeneration of Africa means that a new and unique civilization is soon to be added to the world. The African is not a proletarian in the world of science and art. He has precious creations of his own, of ivory, of copper and of gold, fine, plated willow-ware and weapons of superior workmanship. Civilization resembles an organic being in its development – it is born, it perishes, and it can propagate itself. More particularly, it resembles a plant, it takes root in the teeming earth, and when the seeds fall in other soils new varieties sprout up. The most essential departure of this new civilization is that it shall be thoroughly spiritual and humanistic – indeed a regeneration moral and eternal! Lord, bless Africa. May her horn rise high up. Hear Thou our prayers. And bless us. Descend, O Spirit. Descend, O Holy Spirit. Enoch Sontonga, "Nkosi Sikelel' iAfrika"
Africans express particularly positive views about America. China's investment in Africa of various kinds exceeds forty billion dollars. Chinese ambassador to South Africa, Tian Xuejun, quoted on Economist.com, "Chinese trade with Africa keeps growing; fears of neocolonialism are overdone", March 23, 2013. [T]he result of a collaboration, most likely unthought-out and maybe even unconscious, between outsiders and insiders; almost a conspiracy of Africans and their European apologists, who would very much like to see Africa succeed, even at the expense of a pogrom, a thorough purge of these immigrant peoples. This page was last edited on 1 April 2019, at 19:49.